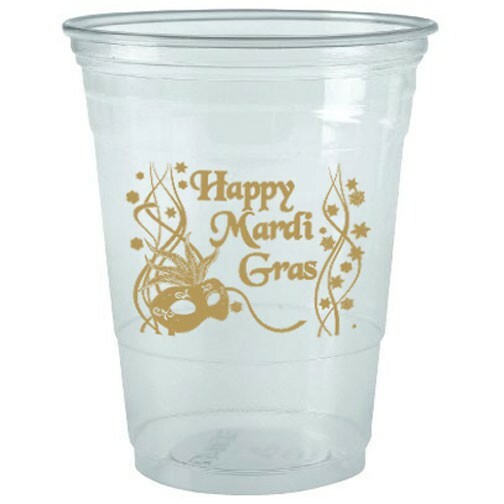 Party Cups | Product Catalog | ProRose Inc.
SOFT-SIDED SHATTERPROOF PLASTIC CUPS! Low-Cost for Outdoor and Special Events! 16 oz. 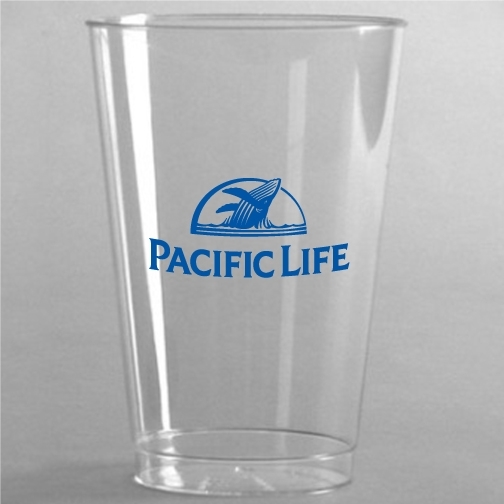 Soft-Sided Translucent Plastic Cup made from PET Styrene. Vacuum formed cups are shatterproof & BPA free. Price includes a one color, one side imprint silk screened in quantities from 1,000 to 10,000 and high-speed offset printed in quantities of 10,000 & up. Offset printing is great for lost-cost multi-color printing. Flat straw slot lids are available at an additional charge. Available only in full case packs of 1,000 pieces. GREENWARE® SOFT-SIDED SHATTERPROOF PLASTIC CUPS! Eco-Friendly Made in USA from NatureWorks PLA Resins, NOT oil! 9 oz. Soft-Sided Clear Plastic Cup made from NatureWorks® PLA Resins from domestically grown renewable resources. These cups come from the ground and return to the ground when composted. 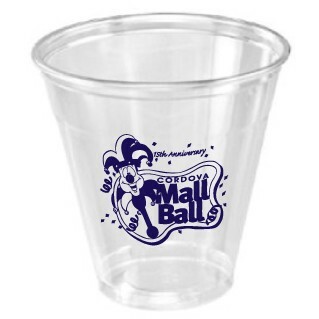 Vacuum formed cups are shatterproof & BPA free. Price includes a one color, one side silk screened. Flat straw slot lids are available at an additional charge. Available only in full case packs of 1,000 pieces. SOFT-SIDED SHATTERPROOF PLASTIC CUPS! Low-Cost for Outdoor and Special Events! 24 oz. Soft-Sided Clear Plastic Cup made from PET Styrene. Vacuum formed cups are shatterproof & BPA free. Price includes a one color, one side silk screened imprint. Flat straw slot lids are available at an additional charge. Available only in full case packs of 600 pieces. GREENWARE® SOFT-SIDED SHATTERPROOF PLASTIC CUPS! Eco-Friendly Made in USA from NatureWorks® PLA Resins, NOT oil! 20 oz. 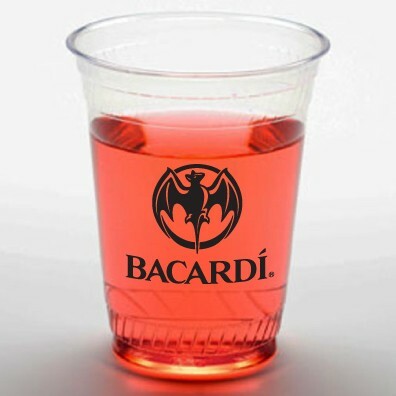 Soft-Sided Clear Plastic Cup made from NatureWorks® PLA Resins from domestically grown renewable resources. These cups come from the ground and return to the ground when composted. Vacuum formed cups are shatterproof & BPA free. Price includes a one color, one side silk screened. Flat straw slot lids are available at an additional charge. Available only in full case packs of 1,000 pieces. 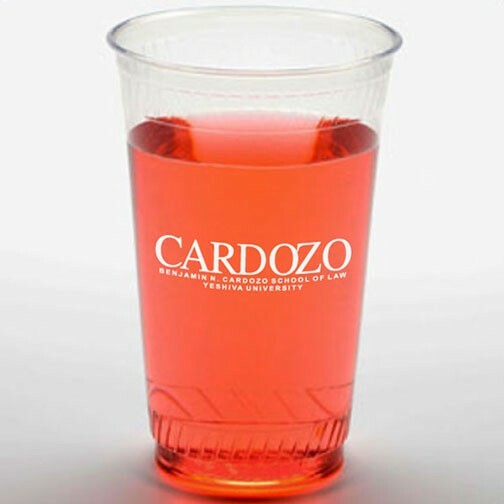 SOFT SIDED SHATTERPROOF PLASTIC CUPS! Low-Cost for Outdoor and Special Events! 5 oz. 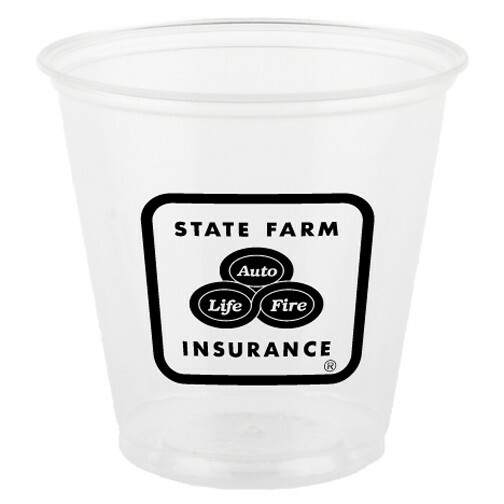 Soft-Sided Clear Plastic Cup made from PET Styrene. Vacuum formed cups are shatterproof & BPA free. Price includes a one color, one side imprint silk screened in quantities from 1,000 to 10,000 and high-speed offset printed in quantities of 10,000 & up. Offset printing is great for lost-cost multi-color printing. Flat straw slot lids are available at an additional charge. Available only in full case packs of 2,500 pieces. GREENWARE® SOFT-SIDED SHATTERPROOF PLASTIC CUPS! Eco-Friendly Made in USA from NatureWorks PLA Resins, NOT oil! 12 oz. Soft-Sided Clear Plastic Cup made from NatureWorks® PLA Resins from domestically grown renewable resources. These cups come from the ground and return to the ground when composted. Vacuum formed cups are shatterproof & BPA free. Price includes a one color, one side silk screened. Flat straw slot lids are available at an additional charge. Available only in full case packs of 1,000 pieces. SOFT-SIDED SHATTERPROOF PLASTIC CUPS! Low-Cost for Outdoor and Special Events! 16 oz. 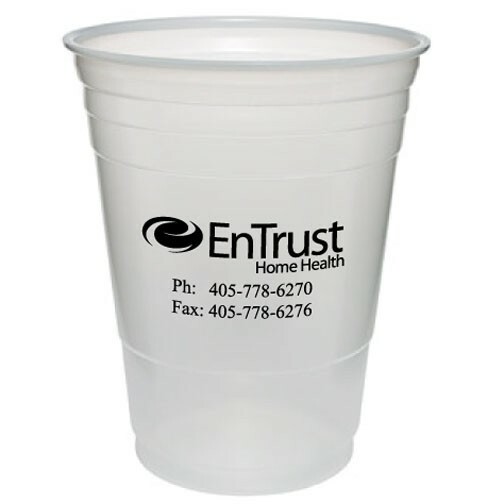 Soft-Sided Clear Plastic Cup made from PET Styrene. Vacuum formed cups are shatterproof & BPA free. Price includes a one color, one or two sided imprint silk screened in quantities from 1,000 to 10,000 and high-speed offset printed in quantities of 10,000 & up. Offset printing is great for lost-cost multi-color printing. Flat straw slot lids are available at an additional charge. Available only in full case packs of 1,000 pieces. SOFT-SIDED SHATTERPROOF PLASTIC CUPS! Low-Cost for Outdoor and Special Events! 10 oz. 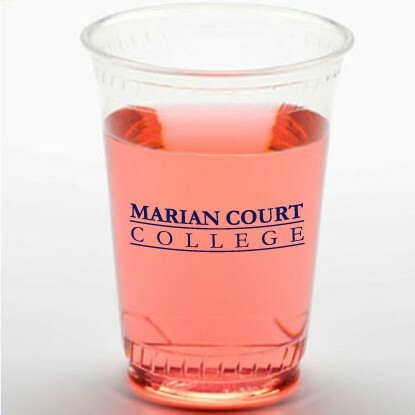 Soft-Sided Clear Plastic Cup made from PET Styrene. Vacuum formed cups are shatterproof & BPA free. Price includes a one color, one side imprint silk screened in quantities from 1,000 to 10,000 and high-speed offset printed in quantities of 10,000 & up. Offset printing is great for lost-cost multi-color printing. Flat straw slot lids are available at an additional charge. Available only in full case packs of 1,000 pieces. GREENWARE® SOFT-SIDED SHATTERPROOF PLASTIC CUPS! 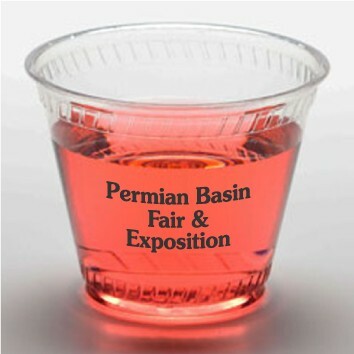 Eco-Friendly Made in USA from NatureWorks® PLA Resins, NOT oil! 16 oz. Soft-Sided Clear Plastic Cup made from NatureWorks® PLA Resins from domestically grown renewable resources. These cups come from the ground and return to the ground when composted. Vacuum formed cups are shatterproof & BPA free. Price includes a one color, one side silk screened. Flat straw slot lids are available at an additional charge. Available only in full case packs of 1,000 pieces. SOFT-SIDED SHATTERPROOF PLASTIC CUPS! Low-Cost for Outdoor and Special Events! 20 oz. Soft-Sided Clear Plastic Cup made from PET Styrene. 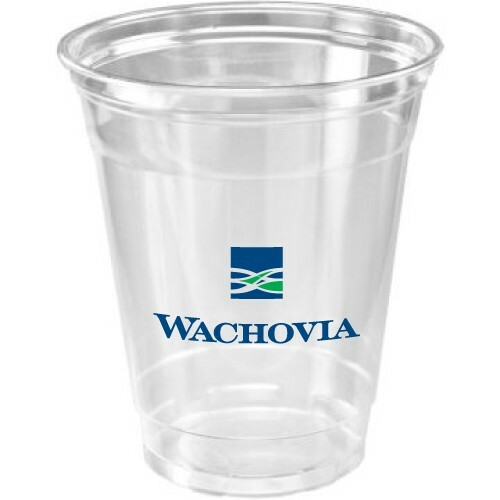 Vacuum formed cups are shatterproof & BPA free. Price includes a one color, one or two sided imprint. Flat straw slot lids are available at an additional charge. Available only in full case packs of 600 pieces per case.